I’ve always been a DC Comics kinda guy. Growing up, I preferred the square-jawed do-goodery of Superman and Green Lantern to Marvel Comics’ angsty superheroes. To this day, the sum total of Captain America, Thor and Iron Man issues I’ve read could be counted on the fingers of a single Infinity Gauntlet. And that is what I find so frustrating about the current state of the superhero genre on film. It used to be that DC–which squats under the same corporate umbrella as Warner Bros.–enjoyed blockbuster adaptations of its books while Marvel suffered the indignities of grade-Z filmmakers. * Now DC founders, with flagship characters such as Wonder Woman and the Flash stuck in development hell, and the long-in-the-works Green Lantern feature film seen as a flop. Meanwhile, Marvel is engaged in an audacious, multi-year plan which will culminate in 2012’s The Avengers. Some have criticized the Marvel movies for sacrificing too much of their own identities in service of the so-called “Avengers Initiative,” but I personally cannot help but be impressed with the way that the Iron Man, Hulk, Thor and Captain America flicks have formed a single meta-franchise. I’m very much looking forward to next year’s all-star team-up. In general, Marvel has been having a heck of a year at the cineplex. Thor was an entertaining summer opener which saw director Kenneth Branagh (Kenneth frickin’ Branagh!) reproduce comics artist Jack Kirby’s designs with extreme fidelity. Excellent central performances and a cool ’60s vibe made First Class arguably the second-best installment of the X-Men series. And Captain America may have been the most entertaining of them all. 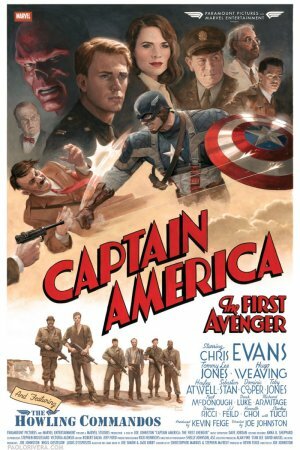 Granted that Captain America was in the dead-center of my wheelhouse, what with its ’40s pulp feel and its awe-shucks heroics. I love this brand of period adventure. Setting events during World War II was the best possible move. Not only was it faithful to the character’s idiom, it made the his intrinsic, over-the-top patriotism less risible for a modern audience. Even within the context of the story, the Captain America concept and costume was initially treated as ridiculous. It’s only Cap’s own earnestness and bravery that made it laudable. 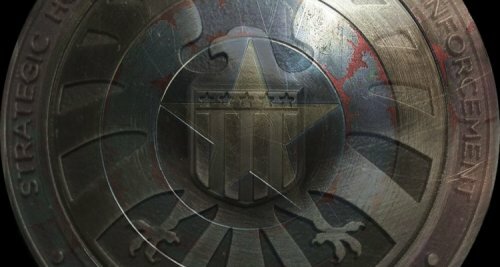 Captain America wasn’t Raiders of the Lost Ark, but it was one of the most enjoyable two-fisted, Nazi-fighting escapades I’ve seen. And when Cap joins up with Iron Man, the Hulk, Thor, Nick Fury, Black Widow and Hawkeye next summer, this staunch DC Comics fan will be there for opening weekend. *The nadir was the 1994 version of The Fantastic Four. It cost a mere $1.5 million and was made for the sole purpose of retaining movie rights to the property. **Though I mostly associate Dugan with his Godzilla-fighting days.